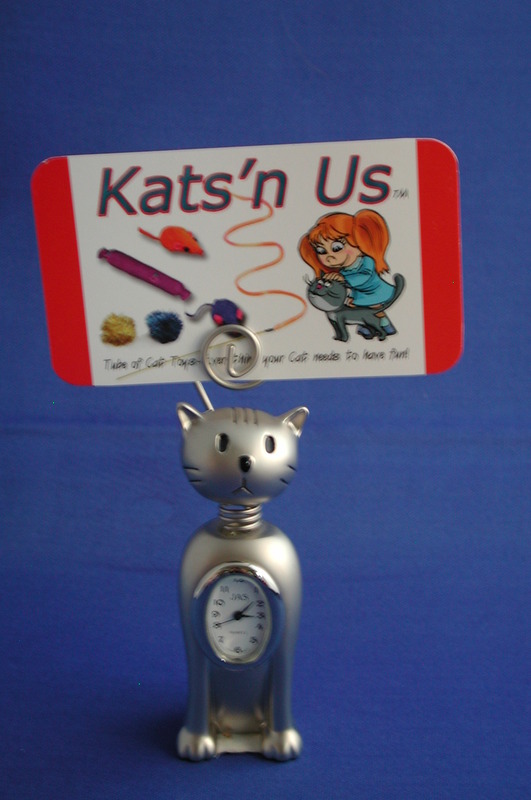 Adorable Cat miniature clock with a perfect place to hold memos, pictures and business cards. Great gift for that favorite cat lover! Stands about 4 inches tall and 2 inches wide.